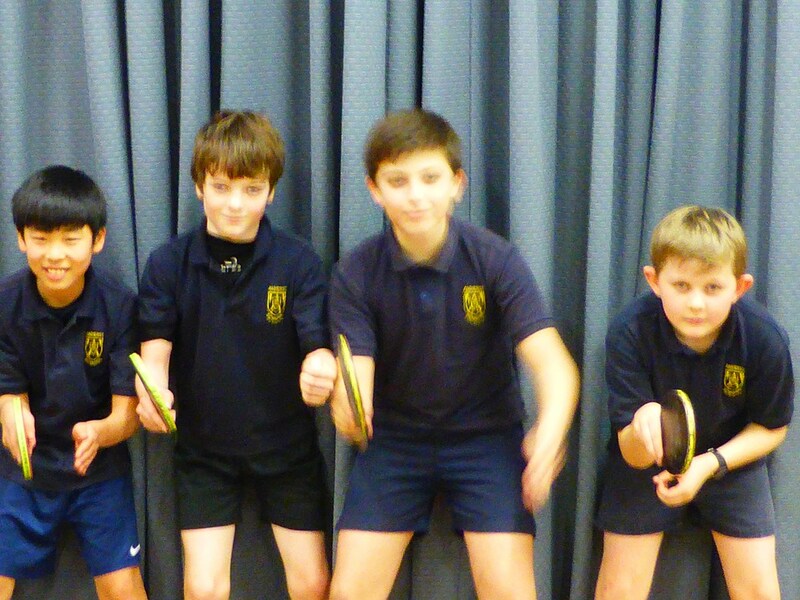 Having become Kent Schools U11 Boys’ champions, Amherst (Yiannis Papadopoulos/Sam Arnott/Felipe Fujimori/Daniel Henderson) went to Morpeth School to compete in the English Schools Zone 7 finals on 19th January 2019. Zone 7 consists of five counties, Essex, Hampshire, Hertfordshire, Kent, East and West Sussex. There were two groups of three for the Boys’ Under 11 event, all play all with two match points available for a win a one each for a draw. In the event of a tie, only the result between the two teams was taken into account, firstly on sets won, then games for and against and if still level, then it is down to the number of points. Amherst’s first match was against St Andrews (Daniel Carpoe/Javier Guzman/Barney Bathard-Smith/Felix Borders) from East Sussex which they won 8-0. The second was against Edge Grove (Niyam Patel/Alex Bloom/Dan Maughan/Sam Stein) who are consistent competitors at the Zone 7 finals so were not likely to be so easy. Amherst won the first three sets and Edge Grove the next three. Sam made sure of four but Edge Grove took the closing set to make it a draw. It thus went to games won which were 18-12 in Amherst’s favour. In the semi finals they played St John’s (Jake Calver/Hayden Cummings/Ben Applegate/Louis Case) from Hampshire and won all the sets to the seventh. When it came to the eighth, it was realised that two players had played the wrong people but with Amherst already having five in the bag they went through to the final. In the final they met Earls Hall (Noah Unsted/Joe Pascombe/Jack Riley/Aaryan Vatsa) from Essex. This is a similar set up to Amherst with their own school club. Four sets went the distance. Felipe was the only one to get on the board but Amherst still qualified for the Southern Region finals in Bristol as runners-up. It was the first time that Amherst had a girls team in the competition and they did well to qualify for the Zone 7 finals. 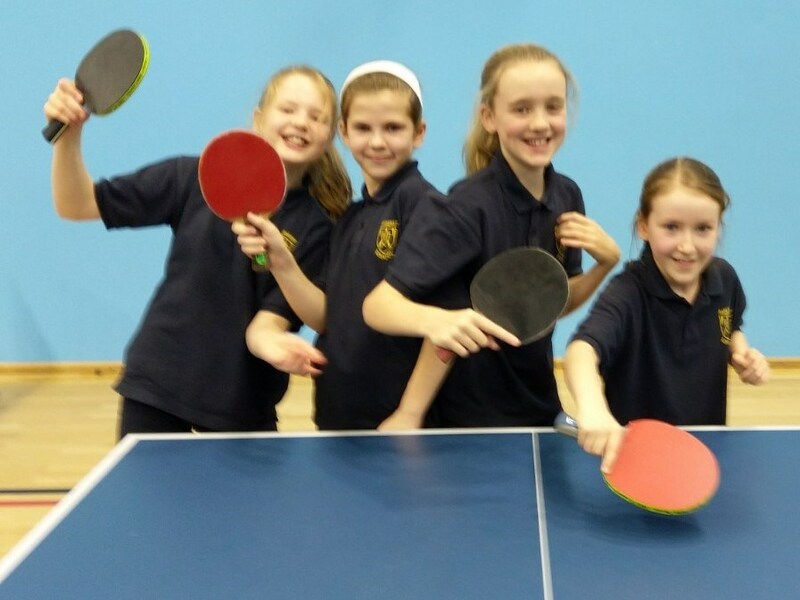 The girls had a group of five so four matches to be played. Lucy Thresher led the team with Anna Clews, Isabel Morris and Lois Mugford in support. They won two sets in their first match against Earls Hall (Sarina Solari/Jasmin Gullar/Sienna Cooke/Evie Knaapen) from Essex which gave everyone a bit more confidence. Both Lucy and Isbael beat Jasmin. Their second match was against a very strong Abbotswood team (Eve O’Niell/Katie Le Peuple/Charlotte Fee/Emma Mills) from Hampshire who were expected to do well. Isabel managed to beat Emma and Lois took her to five games but that was all. The girls got their first win of the competition against St Luke’s (Scarlet Davies/Izzy Langridge/Robyn Cain/Maisie Cooke) from West Sussex. By now the girls were playing better and although they lost the first two sets in four games, they managed to win the next four. St Luke’s won the seventh so it was down to Lois to make it a win which she did in straight games, much to everyone’s delight. therwise the opposition had a lot more experience to call upon. It was great experience for both teams. The boys have two years’ training under their belts and it stood them in good stead while the girls, considering they only began playing in October, did very well to win a match. Everyone was well behaved and a real credit to the School.